Confused by the ever-growing options at the supermarket? Here’s a cheat sheet. Ah, bacon. Sweet, salty, savory, smoky, beautiful bacon. Bacon is a Southern cooking staple, but choosing the right bacon at the supermarket can be a bit overwhelming. Standing in front of a refrigerator full of seemingly identical packages of bacon that have all sorts of different labels is intimidating. What’s the difference in natural and organic? Is double smoked better than smoked? What in the world is a center cut? 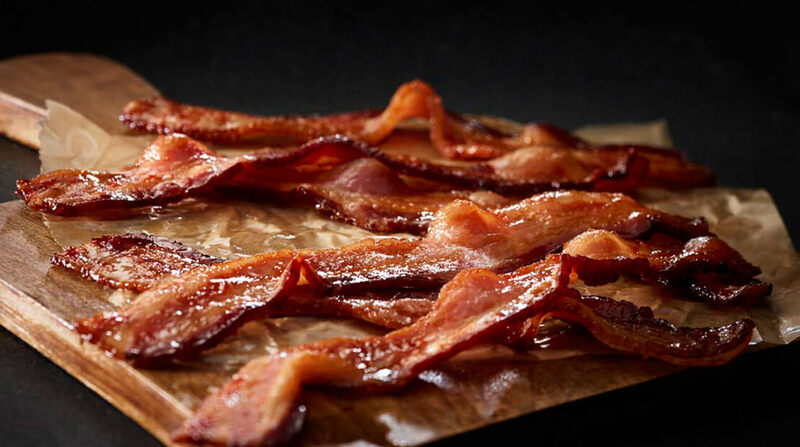 You could spend a lot of time mulling over your choices, so to save some of it for you, we’ve rounded up few mainstay types of bacon you might see at the store and explained them for you. From thick cut to uncured and dry rubbed, here’s your guide to the different types of bacon at the supermarket. What It Means: Hefty, meaty slices. The thickness varies depending on the brand. What It Means: Yes, bacon can be organic. According to the USDA, if the bacon is made from certified organic meat or poultry (they’ve been fed certified organic feed and haven’t been given antibiotics or growth hormones), then the bacon itself is organic.